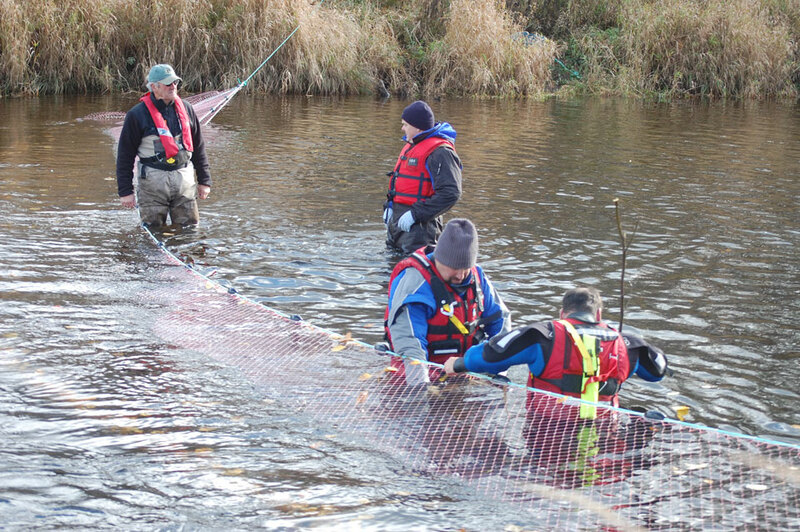 We are most grateful for the decision by NS Department of Fisheries to assist our Association with Salmon Brood Stock collection on The Waugh’s River. Today was a bright and sunny day but believe me the water temperature was too cold for a swim without the Dry Suit. Fortunately The Province is well trained and well equipped to do the job properly. 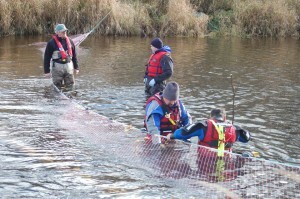 Ten or more fish will be taken from the River today to be transferred to the provincial hatchery in Antigonish. Once the eggs have been fertilized the brood stock fish will be put back in The Waugh’s River. 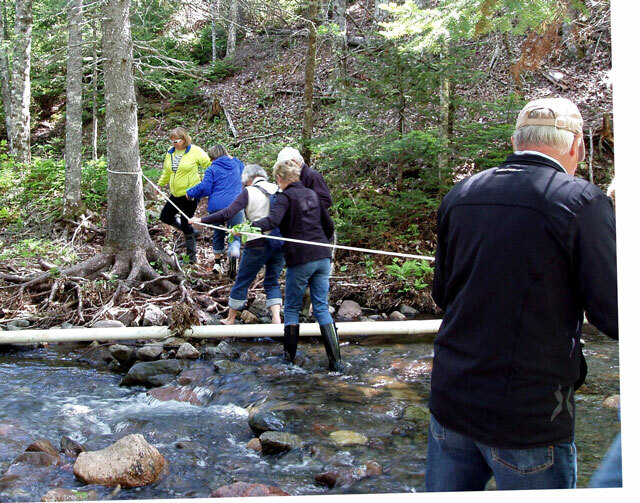 Hopefully next spring our volunteers at our Fish Hatchery at Fergusons Brook will prepare for the release of thousands of salmon Parr back into The Waugh’s River. On that note 12,500 good size Parr were released upstream of The Falls last week. 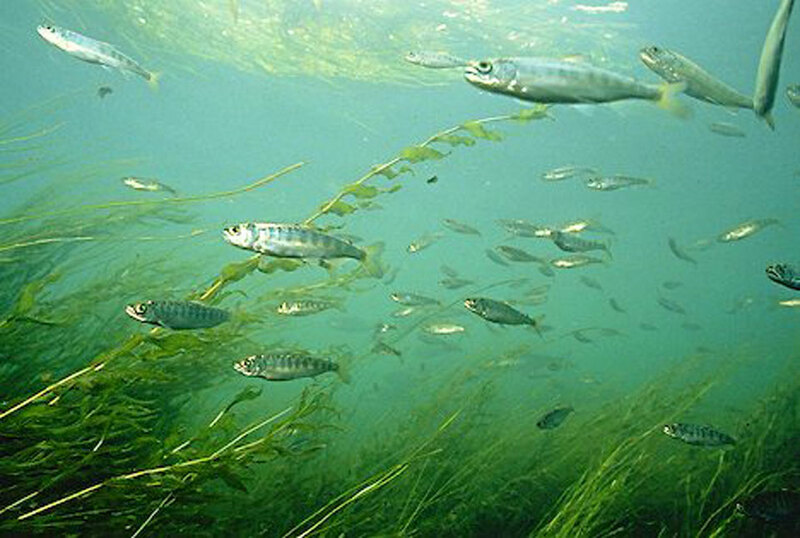 The technical staff at the Province have told us that they expect that some this year’s grilse were fish that we hatched out several years ago. The circle of life continues even if it has to do a detour to Antigonish to make it possible for a few. 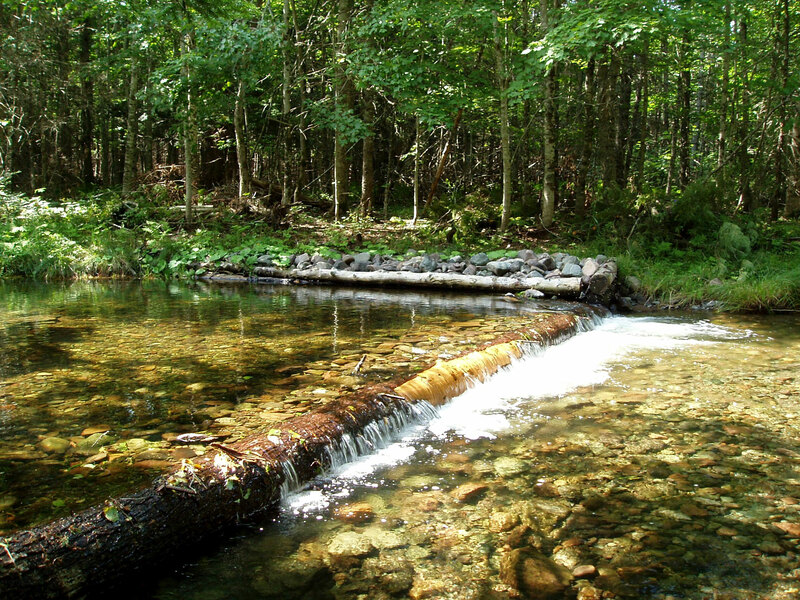 All the structures that we build on the rivers whether they are Digger Logs or Deflectors serve a productive purpose in creating an enhanced habitat for migratory fish to spawn. In some cases the structures are also quite a challenge to build and place in the proper spot to achieve these objectives. In the 13 years we have been working on the Waugh’s and the French rivers no previous structure was more of a challenge and then prove to be super example of the work that our Summer Crew does day in and day out. Keep in mind this massive 40 foot long Hemlock log was put into position without the aid of power machines just 4 hard working river crew members. Friday was our 12th Annual River Walk. 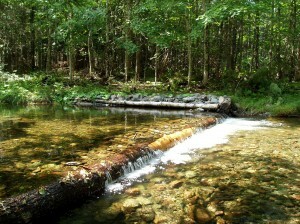 This year’s location was on the Waugh’s River upstream of The Falls on Edwin Cameron’s property. A very enthusiastic gathering of Proud Parents , community supporters and Project Partners were on hand to be given a briefing on this summer’s work on the rivers by Gary Masters and his Crew. By all accounts the day was perfect for a walk on the River. 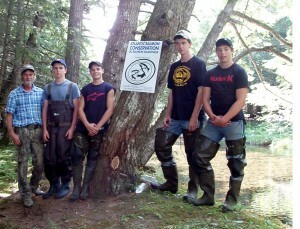 Following their Training last week provided by Clean Nova Scotia / Nova Scotia Youth Conservation Corps our 2013 summer crew is ready to roll. Gary Master is our new Summer Crew Supervisor. Gary farms near Denmark on the Upper Middleton Road. Gary has recently moved to the North Shore from the Kent Coast of England. Gary is no stranger to being part of a team. Gary spent two years in Antarctica with The Cambridge University research team. Everyday is a perfect day to take a photo at The Falls. 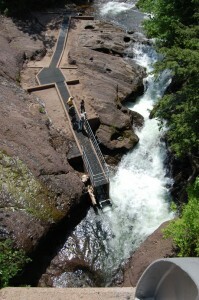 Last week several of our Board members took our new Summer Crew Supervisor on a Up Close inspection of The Fish Ladder. 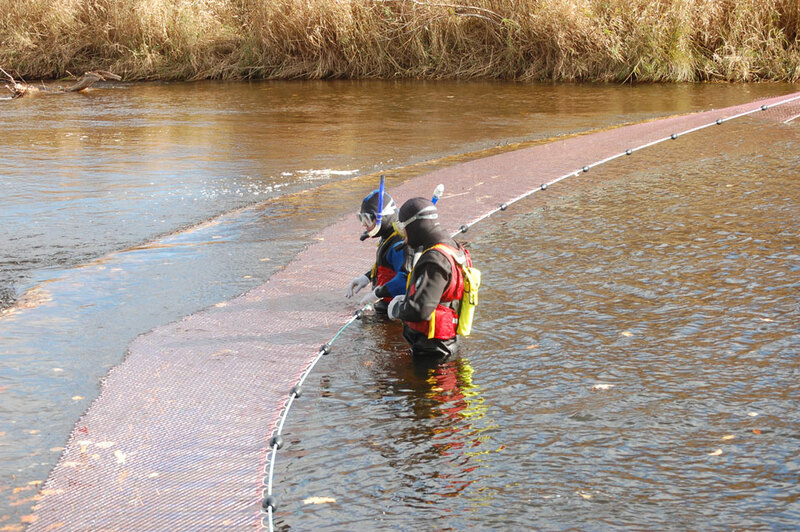 Low water provides us with an opportunity to do some clean up of debris that collects near and on The Fish Ladder. Doug Bastow attended his first Board meeting earlier this month. 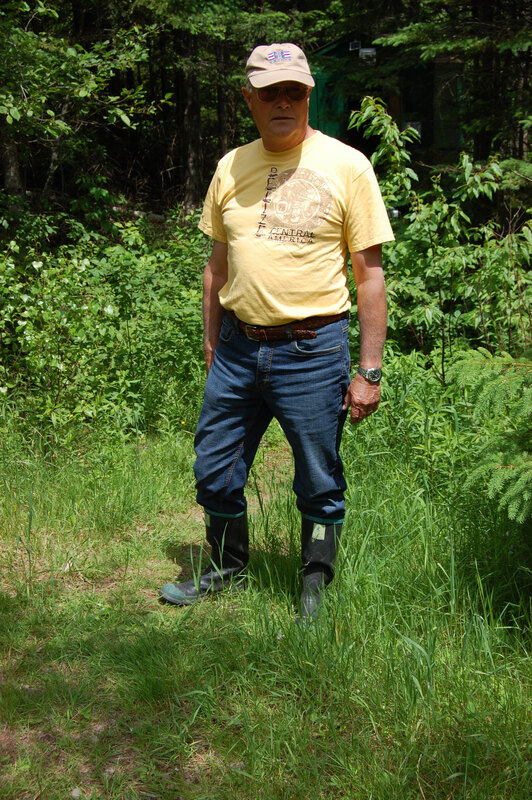 Doug is a retired Air Canada Captain and like most Newfoundlanders, Doug enjoys being outdoors and on the water. Doug has already participated in several work visits to the Waugh’s River this summer. 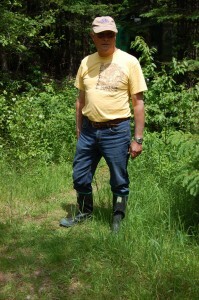 Doug will assist fellow Board member Alison Doyle with our Annual Public River Walk in August. In many cases we do this with assistance from our partners whose financial support is greatly appreciated. For many years The Nova Scotia Youth Conservation Corps and Human Resources Canada have been our lead partners on summer staffing. 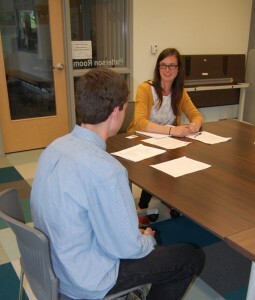 Julia Pelton works with Clean Nova Scotia and is Managing Coordinator of NSYCC program. Julia participated in last week’s interviews and was impressed with the candidates that applied to work with us this year. The successful candidates have been notified. The summer Work Program starts next Monday. 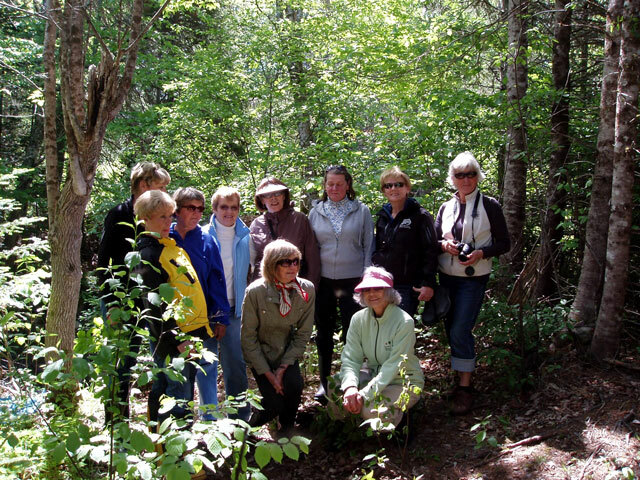 The Wednesday morning Ladies Coffee Club from the Tatamagouche area paid a visit to The Waugh’s River on Wednesday this week. Perry Swan, Current Chairman of The North Shore River Restoration Association and Past Chairman John O’Hearn provided the Ladies with a guided tour of the Fish Ladder at The Falls, The Fish Hatchery at Ferguson’s Brook plus a walk along the river trail. “ It was impressive to see the number of structures that the river crews have built over the past 12 years. I don’t think that any of our group were actually aware of the degree of construction that has been accomplished by this volunteer group. “ commented Estelle O’Hearn. “ We couldn’t have picked a better day for the Walk. 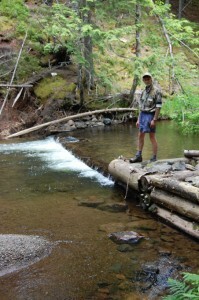 No flies, low water levels that allowed easy trail walking and plenty of sunshine. Oh, plus we had a group that was very interested in the work that we do. Can’t beat that combination!! Derek Cameron has been assisting our Committee for the past 5 weeks. 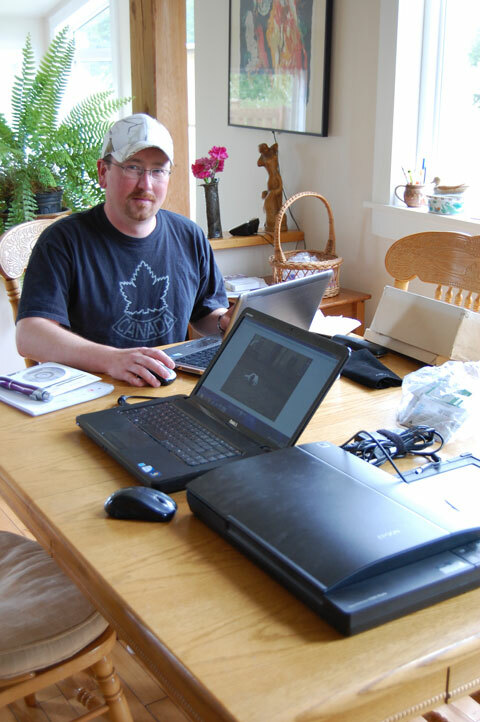 Derek will soon graduate from the IT Systems Management Program at the NSCC Truro Campus. Using Google Earth as a software base we are now ready to make this Data available. This innovative approach to River Restoration Management was made possible due to the talents and skills that Derek provided. We are grateful for his involvement in our project this past month. If you want to find info on the Waugh’s River Check out our Web Page, top of our Web Page, click on the Waugh’s River Information Header. Visit our site regularly this summer as we make info available.